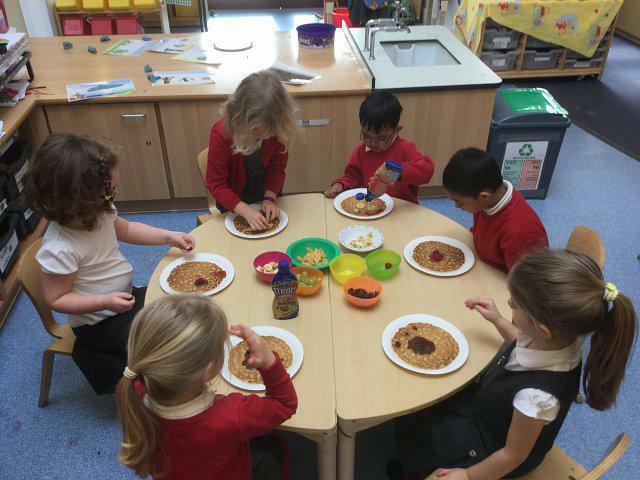 On Tuesday the children in reception enjoyed decorating their pancakes with healthy foods. They had fun creating different images - faces, nests, Captain America! The children also took part in Pancake Races which was great fun despite the rain!